Breathe New life into Your Tired Assets. Refurbish & retool your old machines at a fraction of the cost of new. 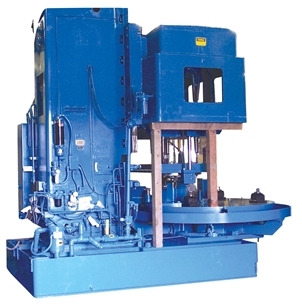 This heavy duty Natco rotary index machine, with 6 spindle head, is used to drill tractor wheel weights. Renovations included new controls, a new dial plate fixture assembly and painting.